World of Warcraft has come a long way, baby. From its debut in late 2004—almost 12 years ago!—to the pending release of Legion, the latest expansion, much has changed in the still dominant MMO, and also in the hardware you need to play it. To that end, Blizzard has posted the system requirements for Legion, and it's a stark reminder that what was adequate back in the day—12 years ago!—won't cut the mustard anymore. At either end of the spectrum, you'll also need 45 GB of available hard drive space, a broadband internet connection, a keyboard and a mouse, and a display device capable of at least 1024x768 resolution. Just for fun, let's compare that with the minimum system requirements for the Cataclysm expansion that came out in 2010. CPU: 800 MHz or higher CPU. GPU: 32 MB 3D graphics card with hardware Transform and Lighting, such as GeForce 2 or better. Kind of amazing, isn't it? This is what happens when a game manages to not just survive, but stay relevant, for 12 years. 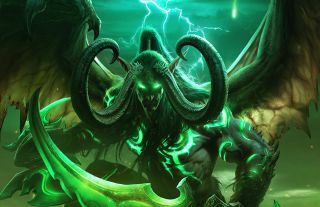 And counting: World of Warcraft: Legion is expected to be out on or before September 21.